People have been drinking infusions of tea for thousands of years, beginning in China and India. Today, tea is consumed more widely than any other beverage in the world except water. Billions of people drink tea, and a large number of studies show tea to have many health benefits. Green tea contains a number of bioactive compounds including caffeine and other alkaloids, polyphenols, and Vitamin K, and after steeping many of the bioactive compounds in the tea leaves effuse into the final drink. Green tea also contains a high concentration of powerful antioxidants called polyphenols. In fact, many of the health properties of green tea are attributed to its polyphenol content. Green tea has a higher polyphenol content than black or oolong, as fermenting tea leaves lowers the polyphenol content. Tea leaves contain a higher percentage of caffeine by weight than coffee beans. However, because a lot less tea leaves are used to make tea than coffee beans are used to make coffee, a cup of tea has significantly less caffeine than a cup of coffee. In the brain, the main method of action of caffeine is to block adenosine receptors, allowing neurons to fire for longer, increasing brain activity. Studies have shown caffeine improves concentration and memory. Alzheimer’s disease is the most common neurodegenerative disease and a leading cause of dementia. Parkinson’s disease is the second most common neurodegenerative disease, resulting in the death of dopamine-producing neurons in the brain. 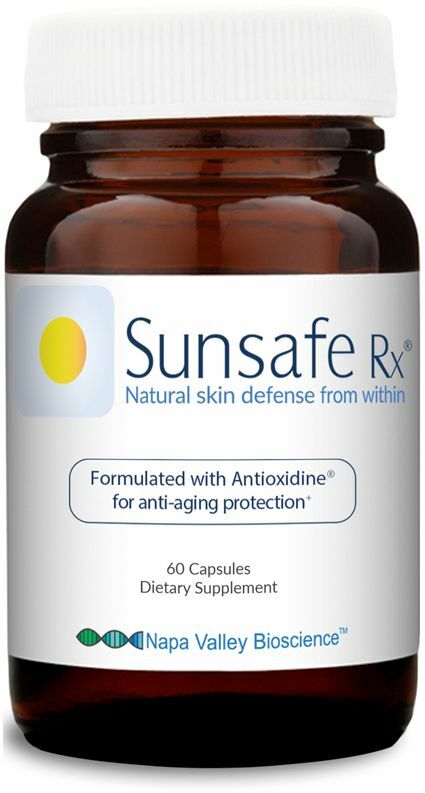 Sunsafe Rx Contains Green Tea Extract And Other Powerful Anti-Aging Antioxidants. In particular, one randomized controlled 12 week study of 240 men and women showed the group that received green tea extract had significant decreases in body weight, body fat percentage, body fat mass, waist circumference, hip circumference, and areas of fat throughout the body. Studies have shown green tea drinkers have a lower risk of cardiovascular disease. Other studies show that black tea has similar effects. In fact, researchers estimate that the rate of heart attack decreases measurably with the consumption of just a few cups of tea per day. A meta-analysis of observational studies found that women who drank the most green tea had a lower risk of developing breast cancer: the most common form of cancer in women. One large-scale clinical study compared green tea drinkers with non-drinkers and found that those who drank the most tea were less likely to develop pancreatic cancer, particularly women, who were 50% less likely to develop the disease. Prostate cancer is the most common type of cancer in men. One study found that men drinking five or more cups of green tea had only about half the risk of developing advanced prostate cancer as those that drank less than one cup per day. Furthermore, drinking green tea may help prevent liver disease. One of the primary species of harmful bacteria in the mouth is Streptococcus mutans. It causes plaque formation and is a leading contributor to cavities and tooth decay. Studies show that the catechins in tea can inhibit the growth of Streptococcus mutans. In general, green tea consumption is associated with improved dental health and a lower risk of dental caries. On top of that, another benefit of green tea is that it can reduce bad breath. There is some data to suggest drinking green tea may make your bones stronger. 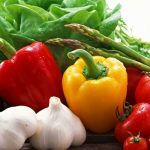 This may be because it is alkaline-forming in your body, helping prevent the leaching of minerals from your bones to counteract blood acidity and maintain proper blood pH. Tea doesn’t dehydrate. Even though it is a commonly-held belief that anything with caffeine is dehydrating, this is false. Yes, caffeine is a diuretic, but water is also a diuretic. The volume of water of a cup of tea overcomes any dehydrating effect from the caffeine in the tea. So why not have a cup of tea: a terrifically hydrating drink of water with healthy compounds mixed in to boot? The amino acid L-theanine in green tea increases the activity of the inhibitory neurotransmitter GABA, which has anti-anxiety effects. 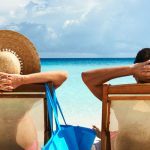 L-theanine also increases dopamine and the production of alpha waves in the brain, aiding relaxation, decreasing stress, and helping reduce depression. Some of the compounds in green tea are anti-inflammatory, and there is evidence to suggest their anti-inflammatory effects can improve the symptoms of arthritis. Green tea can prevent wrinkles and the signs of aging because the antioxidants in green tea are able to fight free-radical damage. Similarly, the anti-inflammatory properties of green tea can help prevent damage to skin from all sorts of harmful environmental stressors. The polyphenols in green tea, especially EGCG, have been shown to have a particularly powerful effect in supporting skin cells and cellular DNA in the presence of sunlight. May different clinical studies have shown EGCG to help promote the skin’s defenses against the sun’s rays. And because these polyphenols accumulate in the skin, regularly drinking green tea or taking a green tea supplement with EGCG can act as supplemental protection. Of course drink it: it’s best to consume green tea that you make from loose-leaf tea leaves. But there are also powders and supplements you can take, such as green tea extract, that contain some or all of the active ingredients. The more you can use green tea to replace other sweet drinks–like soft drinks, energy drinks, and sugary beverages–the better! Green tea contains tannins, which can decrease the absorption of iron and folic acid. As such, it may be better for women who are pregnant or breastfeeding to abstain. People who are anemic should be careful drinking tea around mealtime. Those taking anticoagulant drugs such as warfarin (Coumadin, Jantoven) should drink green tea with caution due to its vitamin K content, which is necessary for blood coagulation.